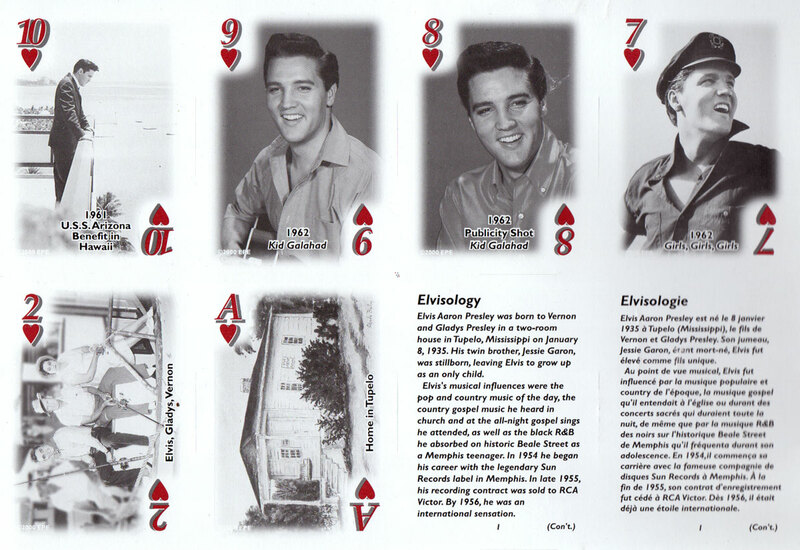 Elvis Presley playing cards published by The United States Playing Card Company, c.2002. 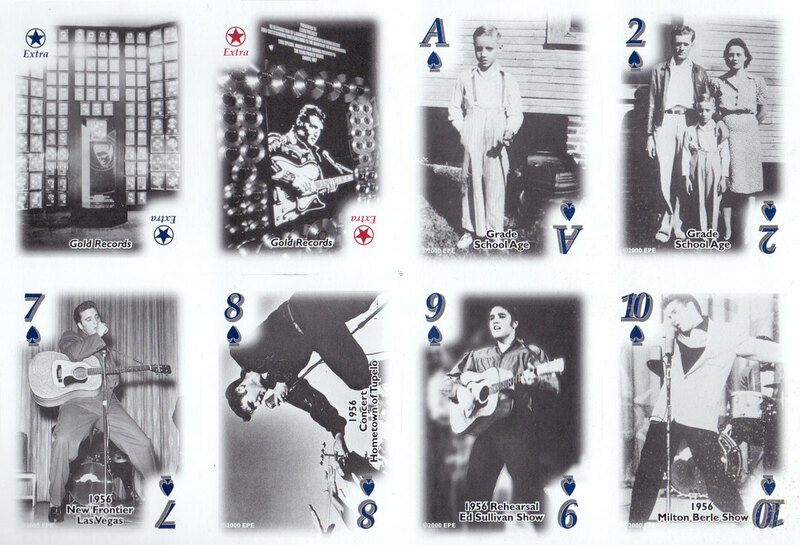 Above: Elvis Presley playing cards from an uncut sheet published by The United States Playing Card Company, c.2002. 52 cards + 2 Jokers + 2 “Elvisology” cards.